Talking about quality Cze Char, there is always a queue outside Kok Sen Coffeeshop. They have been serving the usual Cze Char Dishes for about 50 years serving good dishes to family. They are one of those who have been listed under the Michelin Guide months ago. If you are tourist and going to Kok Sen, be prepared that this is not a upscale Chinese restaurant but a typical Singapore Coffee Shop place. In the event that the restaurant may be full, you might be asked to dine in the backlane, just beside a small road. 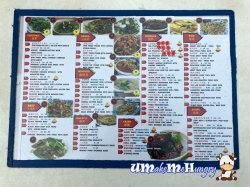 If you have looked through the Menu, there were quite a number of noodles dishes with big prawns under the recommendation. However, we decided to go for plain bowls of rice at $0.70 per bowl to pair with our Cze Char Dishes. 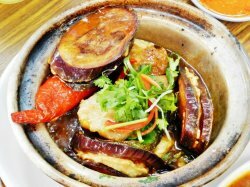 One of the recommended dishes will be the Claypot Yong Tau Foo. It tasted special to me with special gravy and stuffing in the Yong Tau Foo. Stuffing consist of meat and seafood which stands out from the mainstream ones from YTF Stall and these married well with the sweet addictive gravy. Sweet and Sour Pork was better than the average but not the best we had eaten. The general taste of sweet sourness was there and the meat of the pork was significant when we bite down the meat unlike some other places, we were short changed by replacing more fats that meat in the dish. When asked what to order, their staff recommended us to their Sambal Deep Fried Fish Tail. It was the expensive of all our dishes ordered but we had no regrets ordering this for its taste was outstanding and more than our expectations. The deep fried fish was fragrant. 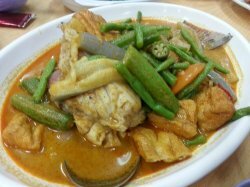 The spiciness neutralized with the sweetness of the fish tail and together with the thickness of the flesh, I would say the dish was very well executed. Besides Chilli, this Sambal dish was elevated with onions and even cut of pineapples. They accept reservation for at least 6 pax. Though it is an old school Coffeeshop place, I am quite impressed by their efficiency in serving food. Not only that, prices are friendly if compared to the quality of food. Their food is way too yummy I went there around 5.30pm.. wasn't any Q yet... their serving time is fast too! The crowd start coming in around 7.30pm onwards.. so if you're heading there, be sure you're early! I went there around 5.30pm.. wasn't any Q yet... their serving time is fast too! The crowd start coming in around 7.30pm onwards.. so if you're heading there, be sure you're early! 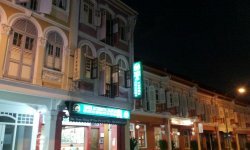 Kok Sen Restaurant is one of the early heritage spots along Keong Saik Road / Outram area, a mainstay that has been around for many years. 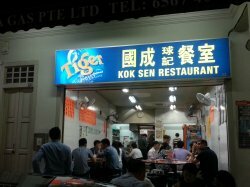 Known for their Chinese Cantonese Zi Char at pocket-friendly prices, Kok Sen Restaurant has a handful of signature dishes, which you can see at almost every table here! Ambience at Kok Sen Restaurant harkens back to the early days of the coffee shop, and it still retains much of that clean, brightly lit, sparse but functional layout. Actual floor space is limited, so tables are extended out into the walkway in front, and the alley at the back. There isn't much shelter if it rains. Typically fully packed, the place is noisy and bustling. 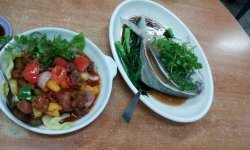 Service at Kok Sen Restaurant can be brusque, but they earn points for their extremely quick order fulfillment. Staff can and will make recommendations, especially their signature dishes. Not the best service around, but they are efficient. Waiting times can be long during peak periods, and there is no waiting area, so expect to stand around, sometimes for up to 20 minutes. Food at Kok Sen Restaurant is Chinese Zi Char, with their signature dishes being Cantonese classics, as they do tasty soups, and sauce / gravy dishes. Portions are designed for communal dining. Due to high turnover, their food is usually served piping hot and fresh. Prices are sightly higher than regular coffeeshop zi char, but still wallet friendly, budget about SGD $22 per person for a meal here. 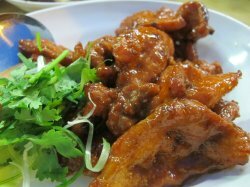 The signature Golden Dragon Chicken (SGD $32) is only available on Fridays, and the weekends. The key in this dish is misdirection, a whole flattened chicken, with a beautifully roasted, crisp skin arrives at the table, glistening in the light. But below the skin, the chicken meat has been entirely removed, and mixed with a fish paste, to create a sort of chicken patty fish cake. The taste is beautifully savoury with a light salty flavour, your brain tells you it's eating chicken when you crunch into the golden brown skin, then you get the mix of chicken and fish that throws the senses. Dip into the sticky sweet sauce for added delight. Great! 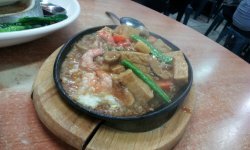 The Claypot Yong Tau Foo (SGD $14 / $21 / $28) is a highlight of any meal here. 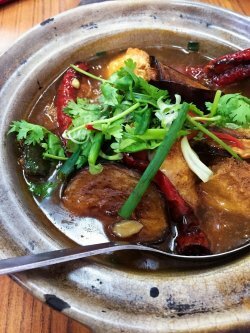 Assorted pieces of fried bean skin tofu puffs, eggplant / aubergine, and bell peppers / capsicums are stuffed with a home made mix of squid and prawn paste, then drenched with a thick, braising gravy, rather like the Ampang style version. Savoury, just salty enough, with a pleasing combination of textures; crunchy, bouncy, chewy, and tender, I could eat a whole bowl myself! Highly recommended! Kok Sen is an old school zi char restaurant situated in Keong Saik Road. The restaurant is one of the last remaining old style restaurants in the area as more and more modern F&B outlets set up shop in the up and coming hipster enclave of Keong Saik. 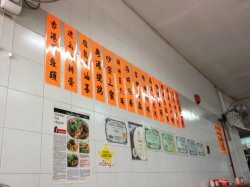 The rustic kopitiam does not have air conditioning and their walls are plastered with names of their signature dishes. As there is no air conditioning, the place can be a little humid during the day . Food found here are relatively affordable and of pretty good standards. Although being a zi char place, a variety of unique dishes can be found here. Signature dishes includes Big Prawn Noodles , Crispy Noodles and Claypot Yong Foo . Visited them during a weekday lunch, although it was already 1pm, most of the tables were still occupied. When the place is packed even when its late , you know you are gonna get good food here. 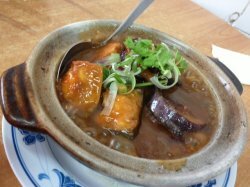 Pictured here is the Claypot Yong Tau Foo . Assorted pieces of beancurd, eggplant, capsicums stuffed with fish and prawn paste were serving pipping hot in a unique braising sauce that is full of umami goodness . Bold flavours that just works . The texture of the yong tau foo are rather different too compared to the generic yong tau foo that you get at the hawker centres . Here the fish paste texture has more bite to it , firmer. According to the auntie that took our order , the yong tau foo are made in-house and only limited portions are available . So do come early to try this before they ran out . 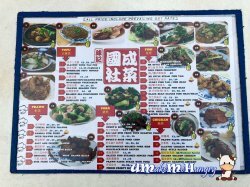 We ordered claypot yong taufu, fried Shang noodles and hor fun + 1 barley drink. I really recommend the hor fun, it's really really nice. At first when they served us the hor fun, it's look like so so only, but really nice to eat. Definitely , I will return to have hor fun again. Claypot yong taufu & fried Shang mee , we feel ok only. They start business at 12pm , go earlier so that you won't wait long. Here at Koh Sen never ever be able to disappoint me with their creative food Chinse dishes. This time I have bought 2 of their other signature dishes, which includes the Claypot Yong Tau foo and also the once a week available dish: Golden Dragon Chicken. Restaurant is squeezy and alittle warm today, maybe is due to the crowded dining environment on this evening. The restaurant staffs are friendly and helpful as well. For the claypot yong tau foo, is definitely a must have. Cooked with bean paste which make it so flavourful. Even the simple item like brinjal with fishpaste has been deep fried and fish paste is very smooth and chewy. Simmed till every pieces of items have absorbed the goodness fragrant from the bean paste, yumm! 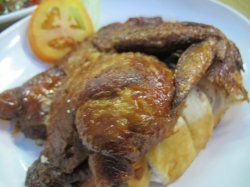 Golden Dragon chicken,which has the usual tender and juicy chicken meat, but on top on this also added that really smooth and not too oily chicken skill that is mariniated with prawn paste and absorbed really every piece of chicken. Yummy! Braised pork ribs with bitter gourd at $13, is priced reasonable and the portion was quite generous. Bitter gourd was totally not bitter and the pork ribs are very tender and juicy. 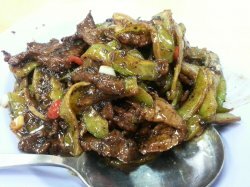 Stir fried kai lan with beef is also equally delicious with very soft and fresh beef meat and the kai lan is very crunch and fresh as well. Restaurant is alright and quite cooling, service was friendly and warm as well. Foods go along with plain rice is simply delicious! Our team was at Keong Siak Road for a training session and it ended just nice around 6.30pm.So, it’s time for dinner so we decided to have ‘Zi Char’ at Kok Sen Eating House. The coffee shop tucked away in a little street is a winner of Green Book awards for many years.This old coffee shop has no air-condition and always crowded and some of the customers will have to eat at the dark back alley. No much of renovation of the coffeeshop but the foods served here are delicious and affordable price. Here are the dishes that were served within 15 minutes time. I would say it is quite fast and efficient with the quality of foods served. 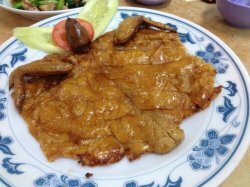 Golden Dragon Chicken.It is highly recommended by the staff and only available during the weekend. 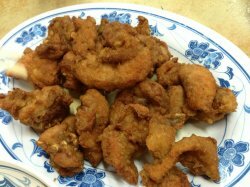 The chicken meat was removed and replace by seafood paste and deep fried. I would suggest to try it with the sauce to make the meat taste flavourful. Otherwise, it would be quite bland taste. 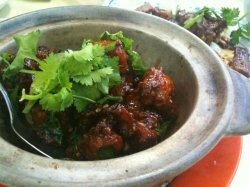 Claypot Yong Tau Foo which is one of the specialty dish. Most of the tables are served with this dish. 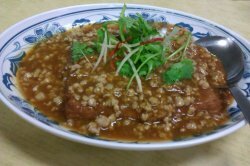 Yong Tau Foo is deep fried and simmers in puckering bean paste gravy. Fish paste filled in brinjal, chili and beancurd pockets were not soggy at all. It absorbs the sauce well and it is best to enjoy it with a bowl of rice. 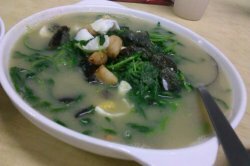 Soupy Chinese Spinach with salted egg and century egg. 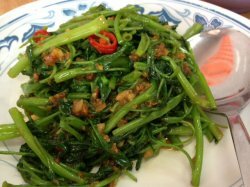 This vegetable dish most commonly served at zi char’s stall. The stock was rich and vegetables are soft and tasty. Fish curry served with lady fingers and brinjals. The curry sauce does go well with plain rice. Taste wise is just fine only. 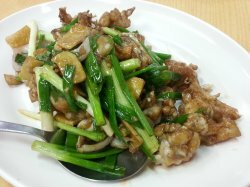 Spring Onion and ginger frog legs is a well-known dish to be try at Geylang. The dish was quite dry and the frog leg meat was moist and crust. Not recommended to order as I think Geylang’s version taste better. Bittergourd with Braised Pork with the wok hei taste made the dish taste delicious. The bittergourd was not bitter as the sauce blends into it. 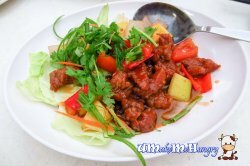 The meat texture is tender and soft and compliments well with the thick sauce. Overall dinner was pleasant as the waiting time was short. The dishes are served within 20 minutes. Thus, this explains their turnover for dinner time was quite fast. People don’t really need to queue for long to get a seat in the coffeeshop. Brought my friends to this zi char place which is quite famous at Keong Saik road. 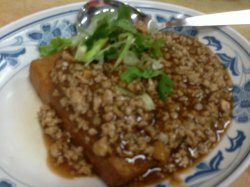 We had the tofu topped with minced meat - large slabs of tofu which were soft, gravy wasn't too salty. 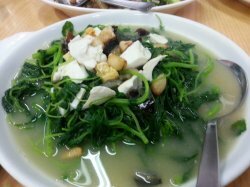 Also had the veg with 3 kinds of eggs - liked the broth and it's not too oily. The fried chicken was tasty, but not exceptional. Lastly, we all loved the cereal squid - huge amount of fried cereal, and mixture with eggs and chilli padi was great. 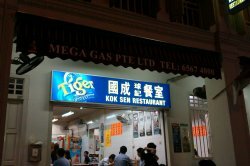 My friend came with her friends the other day and she decide to ask us for dinner at this Kok Sen Restaurant again. A small coffee shop that is located near Hotel 1929. It can be very packed during dinner time and so do come early for seats. Claypot Yong Tau Foo, think this is one of the specialty as most of the tables will order this. 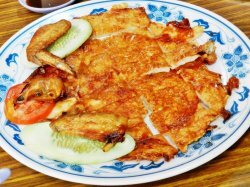 The yong tau foo is deep fried and simmer in a delightfully nice and thick sauce. This does not cause the yong tau foo to become soggy but instead it absorb the sauce and you can still taste the prawns in the paste. A very nice dish. Hor Fun, I think this is one of the best hor fun I have tasted so far. 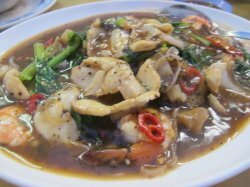 Their hor fun has the wok hei taste and the sauce is nice with strong taste of seafood. The ingredients they use are fresh and we wiped this out in minutes. Fried spring chicken, the staff that takes our order recommend this dish to us. The chicken is tender and juicy. The skin is crispy and it tastes even better if you dip and eat with the salt/pepper they provide together with this dish. 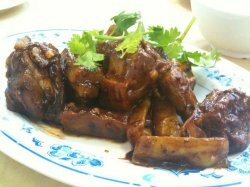 Spare ribs king, nice dish. 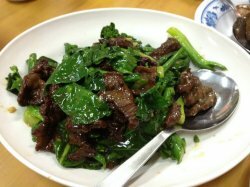 Thou the meat is deep fried first and coated with the sweet sour sauce, but the meat is still tender, juicy and is well marinated. The sauce is nice. Great dish to go with white rice. Staffs here may not be prompt as they are very busy at times but they are nice people, and so do ask them for their recommended dishes and they are most happy to assist you with this. Decided to try this tze char place. Tofu with minced meat was good without being too fatty. The tofu was very soft and I could taste some eggs being mixed into the tofu. Recommended especially when it only costs around 8 dollars. I ordered fried prawn omelette and har cheong chicken. The fried prawn omelette costs around 7 dollars whereas the har cheong chicken costs around 10 dollars. The har cheong chicken was really good. The marinate was good so the chicken was really crispy and the taste shone through. 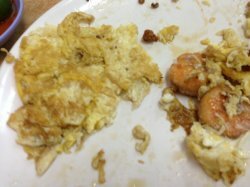 The omelette was slightly lacklustre compared to the chicken because it was a tad too oily and I felt they could have been more generous with the prawns. Located near Pinnacle @ Duxton, tucked away in shophouses in between Chinatown & Tanjong Pagar, this coffee shop sees itself in prime location for an eatery. With chic restaurants in the district, Keong Saik Road has earned it name for itself for being a hotspot for great food and ambience for those seeking an eclectic mix of the vintage and the modern. This coffeeshop is nothing to look at -there are rectangular calligraphy writings on the wall (their menu haha). This gives this place a really vintage feel which I suppose isn't completely deliberate. 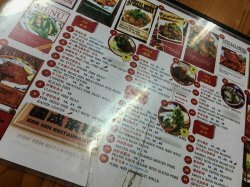 Thankfully, they do have a menu on paper for those who have difficulty deciphering the mandarin scrawls! 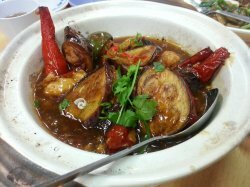 They serve their famous Yong Tau Fu Claypot, as well as other zichar dishes -delicious. We ordered a variety of dishes to try -Bittergourd with Braised Pork ($13), Claypot Yong Tau Foo ($13), Sambal Kang Kong ($8), Cereal Fried Squid ($11), steamed white rice and homemade barley. The Cereal Fried Squid ($11) looks much more than it actually is -hidden under that layer of cereal and frittered eggs is a meagre portion of squid. Nevertheless, the taste was definitely there. There was a slight sweetness, but the overall taste was more salty than anything. It's definitely tasty and the fried bits go heavenly with the rice and spicy kang kong. A terribly SINFUL indulgence. 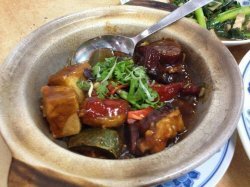 The Claypot Yong Tau Foo ($13) is their signature dish, and I believe this is one of the contributing factor to their successive Green Book Awards! Homemade and simmered in a delightfully savoury (and not overly starchy!) sauce, this dish is an instant winner when served sizzling hot. 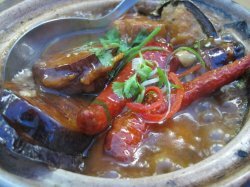 The yong tau foo does not disintegrate easily and consists of stuffed chillis and eggplant. You can taste the distinct taste of prawns in the paste which gave the dish a nice flavour. This dish, Bittergourd with Braised Pork ($13), is definitely not for non-bittergourd fans as the bitterness permeates the entire dish such that even the meat carries a slight bitter tinge. I enjoyed it though; the meat was so tender and I could really taste the dark soy sauce and the gravy that it was cooked with! 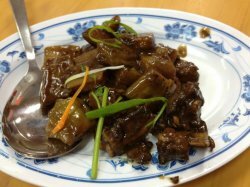 The pork also has fatty bits that are really good, complementing the taste of not only the heavy sauce but also the bitterness of the gourd. What struck me as unique about this Sambal Kang Kong ($8) is that it tasted more like tom yum kang kong rather than sambal. There was a hint of lime and overall, a tangy yet spicy flavour which was refreshing. The "sambal" wasn't overwhelming and chunky like in other places, but it had a lighter taste to it which was pleasant. Give this a try because you might be surprised! 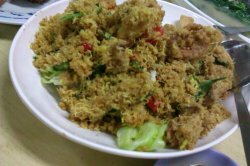 Other must tries would include their Chicken in Sambal (this sambal is boasted to be different from the one used in the kang kong and all sambals are homemade!) as well as Crab. 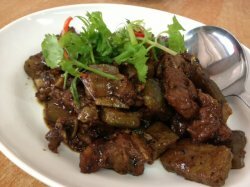 We suggest that you start with the Claypot Yong Tau Foo and the Pork rib Bittergourd. These really impressed us. While the food was undeniably delicious, tasty and gave good value, we were dismayed at the oiliness of it all!! Every plate left a pool of oil, and the oil can be seen when the dishes are set on your rice. Nevertheless, if you don't freak out over a bit of oil, all the dishes here are well worth your time and calories. The total bill came up to slightly below $50 for 4 dishes, 3 bowls of rice and 3 drinks. Fantastic! P.s. The barley was a bit thick and sweet for my liking, it'd be best to have it with ice so that the ice can dilute it! A pleasant meal at Chinatown! Chinatown does hides a lot of nooks and crannies with plenty of good eating spots. This is one of them, which appears to be unassuming but it's actually quite good. This coffee shop was bursting with people when I arrived with my friends, and we had to wait quite a while before being served a table. The service was quite ... typical busy Chinese restaurant kind of service. Rushing about, scribbling down your orders, trying to recommend some of their signature dishes in hope of you ordering faster, scribble down somemore, rushing off. None of the fancy frills but also explains their high efficiency. Then the food came, which include one hotplate tofu, steamed fish, sweet and sour pork and vegetables (which I didn't take photo of because I was too busy eating already :X). The hotplate tofu was disappointing, because the tofu wasn't as soft as I hoped it was. It was more of the dry and hard type, not the jelly-textured egg tofu. The saving grace were the prawns and eggs melted into the dish, which was quite delicious. But they didn't clean the intestines of the prawns, so if you're particular about that, do not order this. Or any other prawn-including dishes. I just closed one eye and ate the them anyway. Good thing is that the prawns do not have the springy effect, which signified that these prawns are not intoxicated with chemicals that make them springy. Next, the steamed fish. This is surprisingly my favourite dish, given how I don't like eating fish in public. But this fish's flesh is really very, very tender, to the point that it was really quite heavenly. I can't stop eating this fish! It was delicious! Sweet and sour pork... was like normal. As usual the hot favourite, and it was good, but typical of it to be good anyway. Nothing spectacular. The standard type. The vegetables were okay. I don't like vegetables and they didn't change my mind about them after trying a few strands. So I guess it's not very special too. But it was acceptable. The toilets in the restaurant was surprisingly quite clean, as I imagined that it won't be. There was also a sink. Good facilities. Unfortunately this place is quite inaccessible without a car, so quite difficult to reach. Don't bother coming if you don't have a car, it's not worth the trouble of walking. 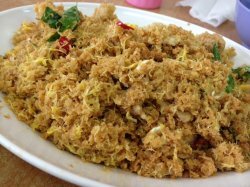 I like Kok Sen, they serve pretty similar dishes to Tong Ah, but it is more expensive. My cousin prefers Tong Ah, while i prefer Kok Sen. Especially the Big Prawn Bee Hoon. 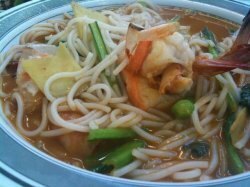 I think Kok Sen Version of Big prawn noodles is as good as it gets! Extremely flavourful soup cooked with I suppose plenty of prawn heads. It is thick, red and delicious. It is a wonderful feeling slurping up the noodles. The bittergourd with pork ribs is not bad! 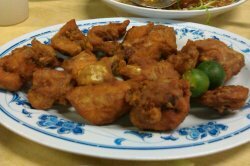 This is the kam hiong chicken, which i felt the tong ah version wins hands down! 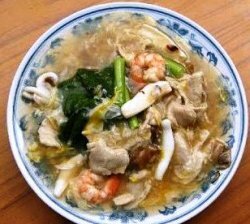 Reasonably priced at $3.50, the delicious hor fun is served with vegetables, meat, sotong and prawns. The flavorful gravy, topped with egg, complements the delicious hor fun very well. The sotong, meat and prawns are remarkably fresh and tasty.Kok Sen is one of the must-try seafood hor fun if you are at Chinatown. It is a relatively cheap yet good zhi char stall. Nevertheless, there are many other foods to try on next time. 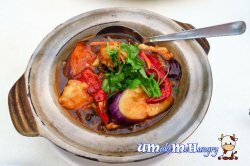 Reasonably priced at $3.50, the delicious hor fun is served with vegetables, meat, sotong and prawns. The flavorful gravy, topped with egg, complements the delicious hor fun very well. The sotong, meat and prawns are remarkably fresh and tasty. Kok Sen is one of the must-try seafood hor fun if you are at Chinatown. It is a relatively cheap yet good zhi char stall. Nevertheless, there are many other foods to try on next time.